This post was published 9 years 5 months 22 days ago which may make its content inapplicable to the current Islanders roster and/or team news. This site is not responsible for any misunderstanding. Here we are folks, one of the most exciting rivalries in pro-sports (in my opinion anyway) and it’s the first game of many this season against our cross town rival New York Rangers. Walking around the concourse here at the Coliseum – early mind you, there are already a bunch of Rangers fans present. It is sure to be MSG East tonight! While we are on the topic, be sure to head on over to my friend Dan Akeson’s website Blueshirt Bulletin, Dan is here in attendance in the press box covering the game. Another great Rangers website you should check out is Scotty Hockey. Scott has sat with us here in the Blog Box a few times over the last few years and is always a fun read. This game is sure to be an interesting one, the Islanders always seem to elevate their play when they play the Rangers. Tonight should prove even more interesting as the Rangers leading scorer – Marian Gaborik is out with a leg injury. Not saying the Islanders will have an easy time, rookie defenseman Michael Del Zotto is white hot – with 4 goals and 8 assists in 12 games this season. Also an interesting point, Long Island born and raised Matt Gilroy is making his Coliseum debut tonight in front of an obvious home crowd – should be fun for him. Another player making his rivalry debut tonight – John Tavares, here is to hoping JT can find his way onto the scoresheet!! There are some other BIG players the Islanders need to be mindful of – Sean Avery and Donald Brashear. It could prove to be a very physical game for the Islanders. The Rangers are a very fast, and very skilled team that will be hard to contain if they do not stick to the SYSTEM for long stretches. Making his return tonight for the Islanders is veteran Doug Weight, whom had contracted swine flu and was in isolation from the rest of the team as a precaution (per Katie Strang of Newsday). Just goes to show you that this H1N1 flu is serious and knows no boundaries. I will update the scratches as they are announced, but so far that is what I can tell from the warmup. Great job with The National Anthem by Livvi Frank, too bad the Rangers fans in attendance had to ruin it by yelling during it. 7:10pm Islanders lose the opening draw, and we are off. 7:17pm Isles are flat out dominant in the Rangers zone early in this first period. Bailey just missed a GIMME, he just smacked his shinpad with his stick. 7:22pm Roloson with a hugggeeee save. 7:22pm I will never understand Rangers fans chanting Kansas City when the majority I talk to all say the Islanders leaving hurts them as much as it would us. 7:23pm Roloson beat between the pillows, 1-1 It was the player whom the Rangers called up to replace Gaborik. 7:24pm Isles need to step up and keep up that pressure that kept them busy in the first few minutes, that means not icing the puck. 7:27pm Josh Bailey has at least five shots on goal already this period. Doug Weight also looks pretty good tonight. 7:28pm Finally a chant everyone agrees on USA – as one of the local war veterans was shown on the scoreboard. Hooah! 7:31pm Tavares involved down low, as was Bergenheim – two players I want to see on the scoresheet tonight. 7:32pm Tavares with a great chance and it hopped off his stick at the very last second. Too bad. 7:33pm Word of advice for the boys down on the ice, point shots – they actually need to be hard and quick in order to make it all the way to the net. 7:37pm This is a horrible power play, the Isles forwards were moving the wrong way TOWARDS the defenseman breaking out of the zone (Hillen) and they couldn’t get good momentum through the neutral zone. It’s little things like that which really make me upset. 7:44pm A Rangers defenseman winds up in the net behind Lundqvist (Bergenheim pushed) and some shoving between Avery and an Bergy ensue in the corner. Islanders have the only penalty at the moment. 7:47pm Rangers hit the post in the waning seconds of the period, Dubinsky ran into Roloson and got a nice cross check in return. Overall I am happy with the way the Isles played this period. They came out and played physical, set the tone early and it resulted in a turnover and breakaway that lead to a goal. They need to stick to their game plan, limit the Rangers scoring chances and shot – allow Rollie to see everything and they should have a similar result in the upcoming second frame tonight. 8:05pm Islanders lose the opening face off again, the second period begins the way the first started. 8:07pm Tavares in some pain from a hit he absorbed, he was getting his shoulder worked on by the Islanders trainer. He has since moved down the bench so I gather all is ok.
8:10pm Roloson absorbed contact again and lost his helmet. Witt just shoved Avery who fell like he was shot and now Jackman and Boyle each get penalties – let’s assume roughing until the announcement is made. 8:18pm Islanders just caught a break as the Rangers caught Rollie making a sprawling move and somehow managed a save. 8:20pm Islanders survived some serious Rangers pressure in their own end, they couldn’t clear the puck for about 2 minutes. Once they did, they finally got out of zone Bergenheim had a good chance in front. 8:37pm Tavares and Okposo give and go, Tavares makes a little fake and gets stoned. Well, there you have it. Continued pressure by the Islanders and then buckling down and resisting the flurries from the Rangers enabled the Islanders to win period two and skate off the ice with a 2-1 lead. The Islanders have done a great job at remaining out of the penalty box and capitalized on their last power play of the period. John Tortorella has to be less than pleased with the play of Sean Avery tonight, as his penalty lead to the go ahead goal by the Islanders. Game plan for the third, same as the previous two – the Islanders now smell blood, and it’s time to finish the job in 60, not 63 or 65. 8:58pm True to form, the Islanders lose the opening faceoff of the third period – and they also take a penalty. Tim Jackman called for tripping. 9:00pm Okposo intercepts a pass at the Islanders blueline and almost goes down for a chance, however – he got double teamed and taken down. 9:02pm There has been a lot of talk the last few games about the Islanders goaltenders not stealing games for victories – tonight needs to be one of those grand-theft-victory nights. 9:04pm Isles doing a great job of keeping the Rangers shots to the outside, I can deal with low percentage shots all night as long as they are on the good side of those plays. 9:32pm My god there are fights all over the place in the stands here tonight, a few really bad ones. 9:35pm Time for one more draw here, but it’s about over. Oh… cool… I won’t even have to watch.. I can just read your play by play. So… will Bergie finally score for me??? Huh??? Will he will he huh? I’m hoping this is the year Okposo breaks out big time. I have only had the chance to watch him play a few times on TV (I’m Canadian) but he always looks so calm with the puck. Guess my comment was good luck!! Let’s see what the old crystal ball has in store for period 3…. Tavares needs to get on the board here. As does Tambellini and Bergenheim. They have been pretty good so far, not TOO many penalties and the one they did take were offset. Is it the D or goaltending that has let us down in the 3rd periods this year? LOL…Seems like there were heading in that same direction until Dougie netted one!! JT on the scoresheet for the 1st of many times to come in this heated rivalry!! PLEASE DO!! Tell your friends!! 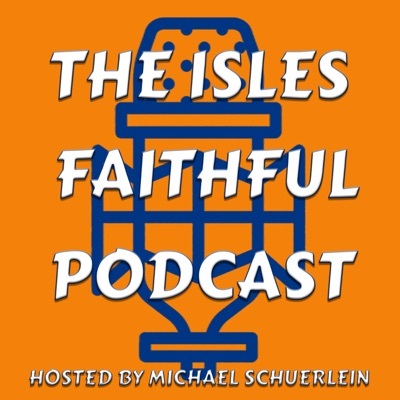 You have to remember i live in Canada…Have yet to physically meet another Isles fan…lol. But my friends like a variety of other teams so i’ll pass it along and try and get them to pop in when we play their team. This was great, thanx alot. No problem, glad you enjoyed it!